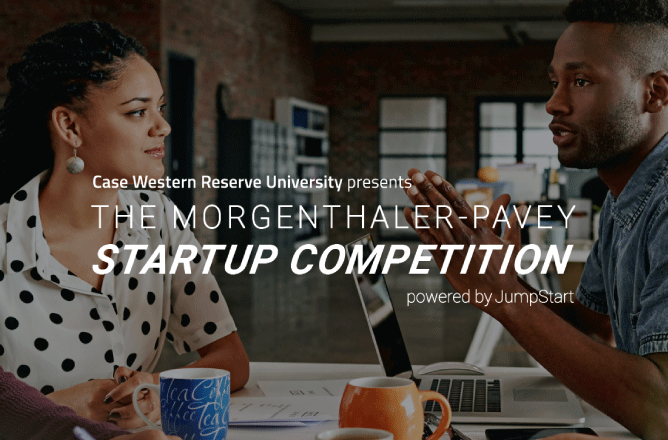 Last year, Case Western Reserve University (CWRU) partnered with university trustee and venture capitalist Bob Pavey, JumpStart and the Morgenthaler family to introduce the first Morgenthaler-Pavey Startup Competition. Designed to identify and support high-potential startup companies coming out of CWRU, the second annual competition is currently seeking applications from ventures whose founding teams include at least one currently enrolled CWRU student or an alumnus who has graduated within the last five years. The competition places students on both sides of the financing process, as all submissions (due November 16) will be reviewed by CWRU ‘s entrepreneurial finance class, led by CWRU’s A. Malachi Mixon III Professor of Entrepreneurial Studies Scott Shane. Shane’s students will have the opportunity to step into a venture capitalist’s shoes to conduct due diligence on the competing ventures and select the top six, who will then be invited to present on May 29 at a demo day-style competition held at CWRU. Regional investors, acting as competition judges, will select three winners to receive financial prizes provided by JumpStart. First place is $25,000, second is $15,000 and third is $10,000. While monetary prizes will only be awarded to the top three, all six finalists will be mentored by JumpStart and connected to the capital, talent and other business development resources in Northeast Ohio. In the competition’s first year, Apollo Medical Devices, led by Punkaj Ahuja, a CWRU PhD candidate in biomedical engineering, walked away with the top prize. Ahuja’s startup is commercializing a rapid blood testing technology with an anticipated turnaround time of five minutes using just a single drop of blood. Last year’s second place honors went to Hedgemon, a startup focused on creating protective shock-absorbing materials for safer football helmets, drawing inspiration from hedgehog quills, while ImaginAG, a company that pairs algorithms with drone technology to analyze aerial images of agriculture and timber lands, took third. Beyond supporting CWRU student and alumni ventures, the competition also aims to honor the legacy of American venture capital industry titan David Morgenthaler, who passed away in 2016. Morgenthaler served as president, chairman or director of more than 30 companies and was among the earliest venture capitalists to back legendary tech startups such as Apple and Nextel. His Morgenthaler Ventures has raised more than $3 billion and helped more than 325 startups. Visit www.mpstartup.com to learn more about new The Morganthaler-Pavey Startup Competition and to enter for your chance at $25k. Applications and pitch decks must be submitted by Wednesday, November 16, 2018.